If you are looking to increase the curb appeal of your home and add a touch of style, you may not think of starting with the concrete outside or inside of your home, but that can be a great place to start! Instead of settling for boring concrete slabs, you can add some pizzazz with decorative concrete. 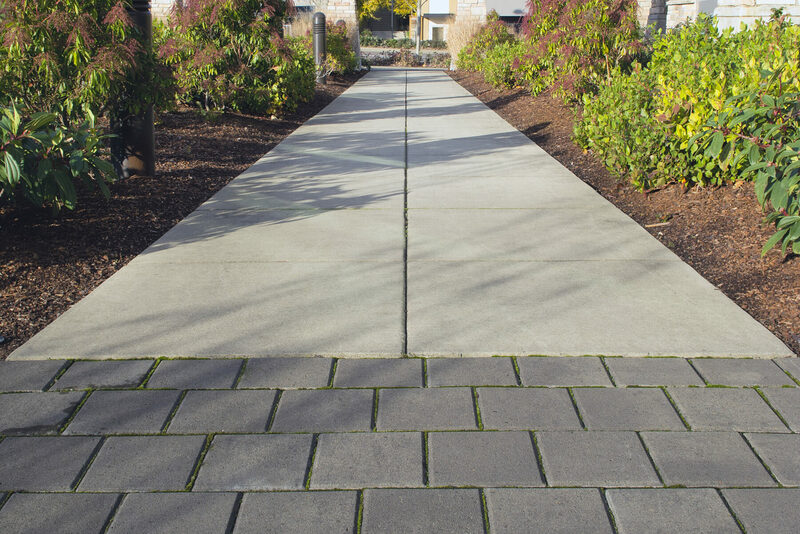 Read on for some surprising advantages into investing in decorative concrete. Decorative concrete can offer a special flexibility that other concrete does not and that isn’t available with other floor finishes. You can use decorative concrete to create acid etched, create stained, stamped and polished floors which is much cheaper. Polished concrete floors are durable and easy to maintain. Concrete can be versatile and doesn’t have to be isolated to unattractive to the sight by being a big gray slab. A slab of cement can be turned into a gorgeous creation that stands on its own in the hands of the right contractor. Some contractors can create patterns by using stampers: patterns can be created by pressing stamps into the concrete before it dries. These designs can be varied, mimicking brick, wood, or stone, but you can also make your own design. Aside from patterns, contractors are able to mix dye in the cement to bring to light different hues, adding stones and tiles for additional design. Concrete has always been durable and strong, and its rigid structure will hold up to all manner of physical impact. Even concrete that is designed with patterns or concrete with a decorative coating, the strength of concrete remains. Because of its ability to maintain heavy loads and the fact that it is much longer lasting, it is more economical. Minimal cleaning and re-polishing is required, so you’ll spend less money all around. Decorative coatings for concrete often play an important role in “green” projects. Concrete promotes energy efficiency and allows a comfortable inner temperature to be maintained, which in the end reduces the energy used in the HVAC system. These concrete coatings are decorative and functional, making them a great choice. This entry was posted on Friday, July 14th, 2017	at 7:47 pm	and is filed under Curb Appeal	. You can follow any responses to this entry through the RSS 2.0	feed. Both comments and pings are currently closed.